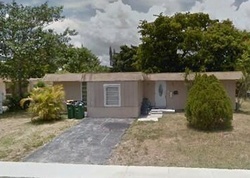 There are a lot of available Fort Lauderdale foreclosure listings. 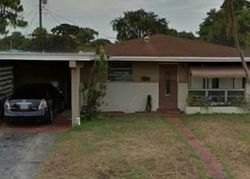 Buying one of these bank foreclosures in Fort Lauderdale will be worth its price. The city is known for its beautiful beaches that are perfect for family gatherings and enjoyment with friends. Real estate investors can also find good deals here. Fort Lauderdale is regarded as the Venice of North America. This city contains several canal neighborhoods that are accessible to the Intracoastal Waterway. Families who want to live here can select which community they want to belong to, whether in a canal front or the ocean front, or in the suburban or downtown communities. Celebrating its 100th birthday, Fort Lauderdale is a most inviting location for families who seek to enjoy the best of both worlds in terms of new business developments and an outstanding quality of life. The city covers an area of 33 square miles with a population of 180,000. People in their thirties and forties make up 34.1% of the population, and people in their fifties or older make up 32.1%. On average, seven in twenty residents are single, whereas nine are married; however, 81% of them are without children. For a long time the city's economy has been based on tourism, but Fort Lauderdale has since developed itself into an attractive place to establish, grow or relocate businesses in the marine, manufacturing, service, avionics/aerospace or film and television production industries. The city is well established as a major yacht manufacturing and maintenance center within reach of the Bahamas and Caribbean. Situated on the South East Coast of Florida midway between Miami and Palm Beach, the city enjoys a semi-tropical climate with 3,000 hours of annual sunshine, gentle ocean breezes and seven miles of glorious beaches. With 165 miles of navigable inland waterways and over 100 marinas, Fort Lauderdale lives up to its reputation as the “Venice of America”. 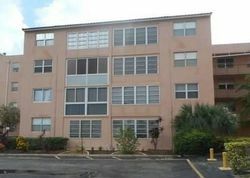 Interested families or property investors can find 2,681 houses available under foreclosure listings in Fort Lauderdale. Specifically, 839 of these are Fort Lauderdale bank foreclosures and 288 are on auction. Here, it is possible to get a two-bedroom, two-bathroom condo for just $1,000 or a four-bedroom, single-family home for $978,036. For the period ending 23 March 2011, the average sales price per square foot rose sharply to $574. The average listing price was $688,417. However, during December 2010 to February 2011 the median sales price was only $159,500. The median value of owner-occupied houses was $150,000, which was still $45,000 above the state average. Homebuyers tend to favor the neighborhoods of Victoria Park, Imperial Point, Central Beach, Coral, and Ridge where the prices range from $193,590 to $1,005,446. Investors should watch out for opportunities in Edgewood, Middle River Terrace, Lake Ridge, Dillard Park and Lofts of Palm Aire Village, which are showing week-on-week, average price listing appreciations that range from 20% to 43%.